It happens every year, the warm, beautiful summer weather in Minneapolis comes and brings the stinging insects along with it. If wasps are getting in the way of your summer fun, then you’ll want to take care of them right away. One problem with wasps is that they can become quite aggressive and have the ability to sting multiple times. 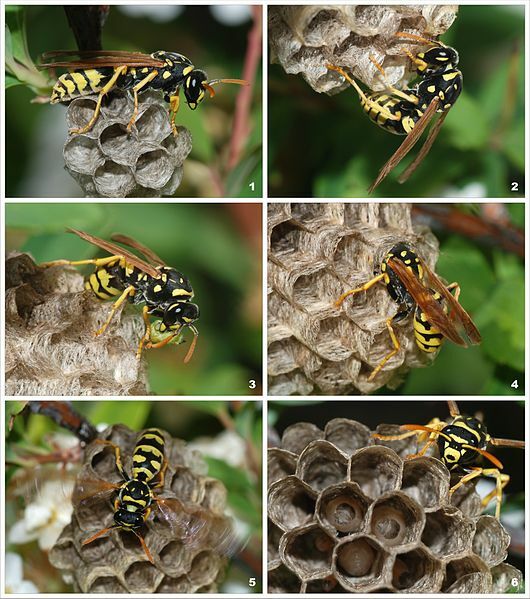 On top of all this, wasps can signal other nearby wasps to come and assist them in their attack. So while their nest might be located high up and away from your action, don’t take the chance with these aggressive pests. Eco Tech will send out a trained wasp exterminator to rid your home or business of wasps and their nests so you can truly relax and enjoy your yard this summer. Need Help To Get Rid Of Wasps? If your home or business is being invaded by wasps, hiring a professional pest control team will be the quickest, easiest, and safest way for you to get rid of them. When wasps are coming into your home or business, don’t bother with trying to locate the nest yourself, call the experts in MN wasp extermination. Professional wasp extermination in Minneapolis is just a phone call away with Eco Tech who will locate the wasp nest, and remove wasps from the interior and exterior of your home or business. When you rely on Eco Tech for the most effective, non toxic wasp treatment in Minneapolis, you have the assurance that the wasps will be eradicated from your home or building, while your family, pets, yard, home, and business, are safe from all the harmful chemicals that most large pest exterminators are using. Non toxic wasp extermination is available and we can’t think of a safer or more effective way to exterminate wasps from your home or business. Not sure if what you’re seeing is a wasp, hornet, or yellowjacket? Whichever of the three stinging pests you’re dealing with, you can be sure it is aggressive! Don’t take the chance of being stung by one, or an entire nest of stinging insects, call the pros at Eco Tech where you’ll have a choice of natural or traditional methods of wasp nest removal and our 24/7 service. After we’re done, you won’t have to worry about every step you take outside and if something is hovering right behind you. Call us today at 763-785-1414 to schedule a convenient expert wasp exterminator appointment.